Home/Focus/Living/Mobility, Transport, and Logistics/FutureCite iPhone X Contest Winner – Cole Rosentreter of Pegasus Imagery!!! Did you know that Cole has evolved from start-up in Alberta to Silicon Valley less than a year? Congratulate Cole on his wins! 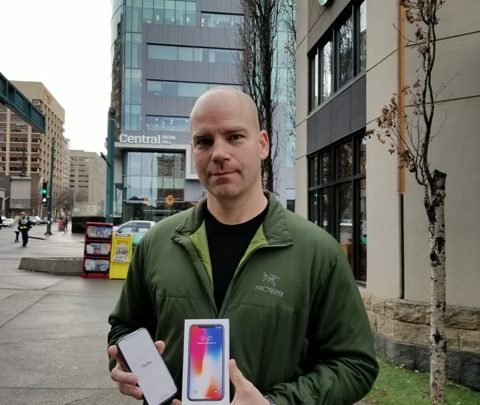 Yes he won more than our iPhoneX contest. Cole was surprised and pleased to find out that he had won the iPhoneX draw! He and his team had just landed back in Alberta from 5 weeks in Silicon Valley and also ended up being selected as the #1 Pitch at Draper University’s Entrepreneurship Program. Cole’s company, Pegasus Imagery, is an Alberta-based technology company delivering intelligence and data solutions to the Emergency Management and Public Safety sectors. Pegasus imagery’s first video is posted in FutureCite.com as “The New Face of Disaster”. Stayed tuned for Cole’s upcoming video posts on his journey “from St. Albert, Alberta to Silicon Valley”. Yes you can message Cole directly in the Connect (Forum) section of FutureCite.com! And yes, Pegasus is scouting for talent! Cole is the founder and CEO of Pegasus Imagery. An Alberta-based technology company, it delivers intelligence and data solutions to the Emergency Management and Public Safety sectors by deploying long endurance unmanned aircraft integrated with high capability sensors and electronics to provide actionable information in real-time to first responders and emergency managers.Their team includes highly experienced military veterans, engineering and technical talent. Provided by Telus, a communications company headquartered in Canada.